First of all, thanks for taking the time to visit this site. It’s my hope that you have precisely what I need in a personal fitness trainer so I can take this page down immediately, and put you to work in the fun and rewarding coaching position I have available for you. 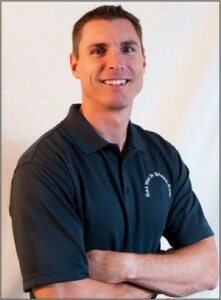 My name is Brad Linder and I run a fitness and nutrition coaching company called Get You In Shape in the Coppell, TX which is close to DFW airport in the Dallas area. And business is booming! Since 2006, we have developed a track record for being on the of the best fitness companies in Texas (see our plug on the Doctors TV show here). The majority of our focus is on the Get You In Shape Fitness Program along with our nutrition system. Since starting, we have had well over 5,000 participants and helped people lose weight, have more energy, get healthier, and be more productive. We have done this with a unique program that is not like other programs out there. I am looking for a hard working, enthusiastic, motivated, and energetic person who does well leading in group environments to join the Get You In Shape team and grow with our company. If you are picked to move on, you will go through a 90 day internship training process that will get you trained on how we run our programs and see if you are qualified to be a Get You In Shape personal trainer. Based on how quickly you learn the program and how you progress, we will bring someone on a more permanent role. How Would You Like To Be A Part Of Helping Encourage, Motivate, and Inspire a Group Of People?? We Are Looking For People Who Want TO Make A Difference! Oh yeah, I am also very fair, respectful and appreciative. I like having fun and making money providing highly valuable fitness services and products. You will be compensated fairly, treated fairly and I will certainly look for ways to pay you more for your efforts if they warrant it. I want someone who enjoys working with people and making a difference in the lives of others because that is what Get You In Shape is all about. If you do not have a passion for fitness and do not liking helping people, this is NOT the job for you. *Have PASSION, ENTHUSIASM, great spirit, passion, zeal, and a commitment to help others reach their health and weight loss goals. People KNOW when you are passionate about something. We are looking for people that WANT to be a Group Personal Trainer because they ENJOY it not because of the money. If you are not passionate about helping others achieve their health and fitness goals, this will NOT be the job for you. * Be a natural leader and confident leading a group of people through an exercises program. This is a Group Personal Training fitness program which means that you are leading individuals of various fitness levels and various personalities. We are looking for people that have certain skill sets to be able to lead a group fitness session. If you are not sure you can do this, it may not be the position you would want. * Help participants learn the exercises and how to use correct form. You will receive coaching and training on the Get You In Shape Program and will be responsible for learning the proper form and being able to explain it to our boot camp clients. You will then be responsible for helping each participant with the correct form that will help prevent injuries and allow them to get the most out of each exercise. * Tracking Participant Progress. One of the many tools we offer in each of the 4 week Boot Camps is bi-weekly measurements and weigh-in days. You will help in this process. This will be something that you will be trained on and will be expected to perform independently. * Help Demonstrate Proper Exercise Instruction: You must to be able to provide proper coaching, instruction, encouragement and motivation during each Group Personal Training session. You should have a working knowledge of the human body (i.e. muscles, movements, functions, etc) and be apply to provide appropriate exercises for clients to achieve their health and fitness goals. * Provide Ongoing Health and Fitness Education: Our clients rely on us to service all of their health and fitness needs. It is your job as a fitness coach to provide participants with health and fitness education on various topics that will empower them to lead healthy lives’ forever. You will be provided with educational tools and resources but it will be up to you to fulfill the client educational needs. * Good Communication Skills: you will be talking with my clients, who are VERY important to me. You must be comfortable conversing in-person and on the phone and know how to conduct yourself professionally, and deliver clear instructions to the clients. * People skills and personality- must LOVE working with people! As mentioned you must be very passionate about and comfortable working with people. This is an exciting group and we have created a place where people enjoy exercising. You MUST be someone that will set the tone and help encourage, motivate, and inspire each participant to reach toward their dreams and goals. * Health and Fitness Education: You will need to be certified as a personal trainer, and have personal training experience. You will be paid based on your experience after the initial 90 day period. You will also have an opportunity over time to get paid based on success of the classes you are leading and the value you bring to Get You In Shape. * CPR Certification and Personal Trainer Liability Insurance is required before the 90 Day Internship is completed. * Previous group personal training experience – This is not a must, but training a GROUP is much different than one on one personal training. It takes a certain individual to lead a group of 10-20 individuals with all different fitness levels and different goals. Prior experience will be a huge plus. * Basic nutrition knowledge – This is another area where you will get great training, but clear understanding of basic nutrition knowledge is a plus. * National Certification – Must be certified (required) for this position. Please do not call us and don’t send your resume in without filling out the form. P.S. This is not the type of job where just showing up is enough. Performance is everything to me. If you perform, you will be rewarded. I want nothing more than to find a person who takes real interest in doing good work and contributing to the growth of the business. I recognize and reward performance! Depending on how fast you learn and pick up our program, the pay will increase quickly. With all that said, as I mentioned in the headline on this page, enthusiasm and a positive attitude go a long way in my book. I am a very positive, upbeat person and appreciate those qualities in others. As long as you have the basic skills I mentioned, and a great attitude, you are definitely a candidate! So submit your information today!